As OPEC discusses the deepest cuts to oil production in years, one group of people in the energy supply chain are preparing reductions of their own: analysts paid to monitor how much crude tankers can earn from hauling cargoes. The producer club’s members are preparing for a Nov. 30 meeting in Vienna to limit their output to as little as 32.5 million barrels a day. While the measures would help prop up oil prices stuck in a 2 1/2 year slump, they could also remove enough output to fill five supertankers a week, just as a ballooning fleet of the vessels is starting to drag on freight rates. The industry’s biggest ships, so-called very large crude carriers, are currently predicted to earn $31,000 a day in 2017, according to 13 analyst forecasts compiled by Bloomberg this month. While that’s not bad by historic standards, the estimated rate is more than 15 percent lower than anticipated in August. Benchmark earnings averaged about $40,000 a day so far this year, compared with about $68,000 a day in 2015. 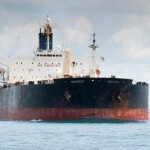 Shares of tanker companies so far stayed immune from the prospect of cuts by the Organization of Petroleum Exporting Countries, perhaps buoyed by a near tripling in daily rates since Sept. 28, when the group outlined its plan to cut output at a meeting in Algiers. Frontline Ltd. and Euronav NV, two of the world’s largest supertanker owners, gained by about 10 percent and 5 percent since late September. 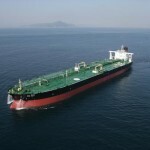 Demand for their ships normally rises in the fourth quarter as oil refineries increase the amount of crude they process. 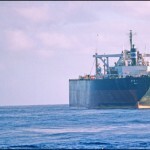 Loadings from the Middle East also initially surged after the Algiers accord was set out. OPEC’s Nov. 30 gathering is supposed to finalize its Algiers deal to bring the group’s collective production down to a range of 32.5 million to 33 million barrels a day. It pumped 34 million barrels a day in October, according to data compiled by Bloomberg. Goldman Sachs Group Inc. said in a Nov. 21 report that it expects oil prices in New York to rise to an average $55 a barrel during the first half of 2017 — from $45 and $50 for the first and second quarters previously — on an assumption that OPEC will agree to cut output to 33 million barrels a day and that Russia will freeze. 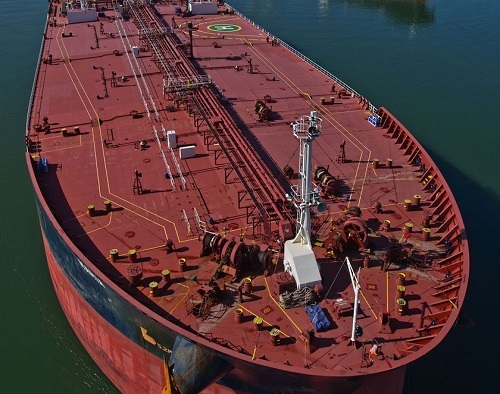 “A decision to cut output will mean higher oil prices, lower demand and trade and bad business for tankers,” said Per Mansson, a shipbroker at Affinity Shipping LLP in London . 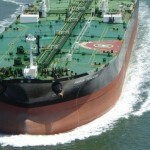 VLCC rates reached a seven-year high of $114,148 a day in December after OPEC embarked on a campaign of pumping as much oil as it could, sending crude prices tumbling while boosting shipments. 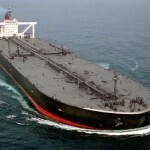 The tanker market is now bracing for the reversal of that policy.